2016 Limited Edition Carrera de los Muertos Poster! He has dedicated his artistic endeavors to create positive social change through the arts and adopted Cesar Chavez ideology of art as a social service. 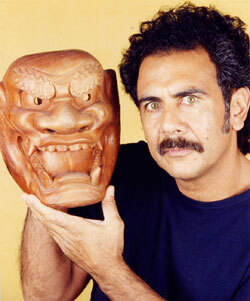 He also won the 2012 Zony Award for his ground breaking work as a mask maker in Childsplay?s 2011 production of “The Sun Serpent.” He is the current recipient of the Doris Duke Foundation grant to present theater to Latino communities in Arizona. You can purchase this poster during the registration process online. If you missed this opportunity, we will be selling them at packet pick up. We will also sell on race day (if available). Posters will be sold for $20 (18″ x 24″). All funds from each purchase sold go back to our non-profit partners! For more information about Mark please visit his website: www.zarkmask.com. 2015 Limited Edition Carrera de los Muertos Poster! 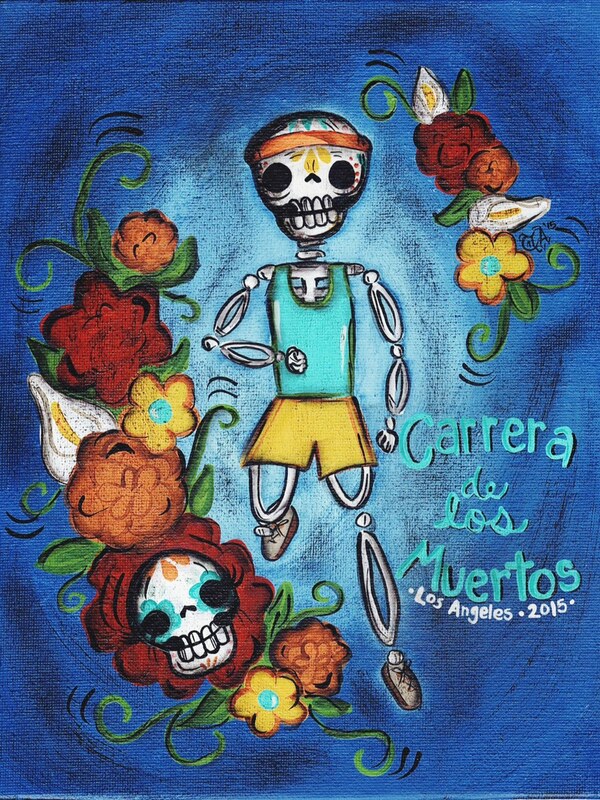 The Inaugural Carrera de los Muertos poster is designed by Theresa Armas. 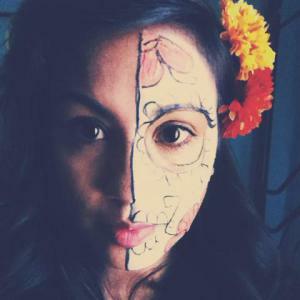 A young Los Angeles based artist, Theresa comes from a family of artists and draws her inspiration from her Mexican heritage. 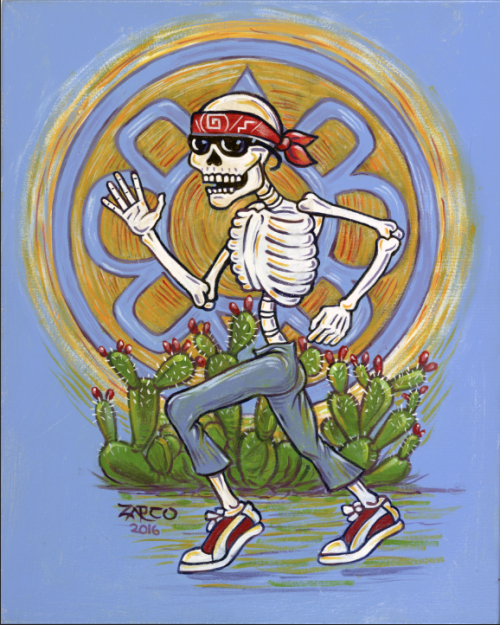 We love this poster and are thrilled to partner with her to create the first Carrera de los Muertos poster. Five dollars of every purchase is donated to the Olvera Street Merchants Association Foundation. There are some remaining posters that will be on sale in Los Angeles at packet pick up. We will also sell on race day (if available).